RANGE Rover has revealed its new hidden weapon. The British luxury maker has debuted the new Velar SVAutobiography Dynamic. Under the mid-size SUV's stylish, stately exterior there's a fire-breathing 5.0-litre supercharged V8 (405kW/680Nm) matched to an eight-speed auto. The giant V8 propels the two-tonne machine from 0-100km.h in 4.5 seconds on the way to a top speed of 274km/h. Plenty of work went into countering a big problem with fast SUVs - the compromised ride and handling due to their height and weight compared to regular passenger cars. Fast in a straight line, they can struggle through corners. Land Rover's Special Vehicle Operations boss Michael van der Sande says the company worked hard at to find the right balance for the SVAutobiography. 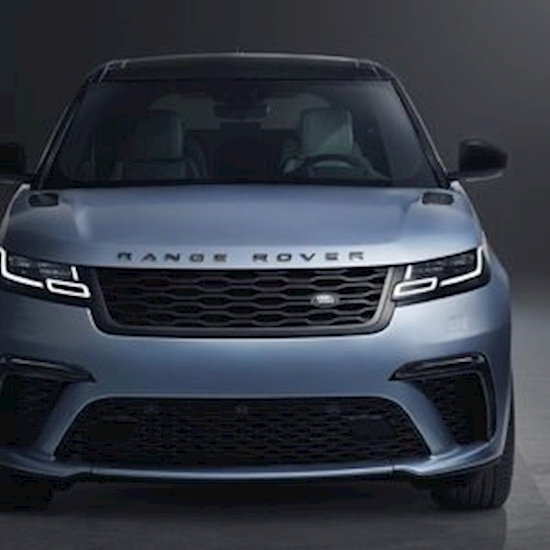 "The challenge here was to increase performance without compromising the composure, capability and refinement inherent in Range Rover Velar," says van der Sande. To eliminate the potential flaws, Land Rover's engineers racked up a total of 63,900 hours to calibrate the SVAutobiography's ride, handling and responsiveness. The SVAutobiography will compete against the Mercedes-AMG GLC 63, Porsche Macan Turbo and the coming BMW X3 M - the latter is expected to be unveiled at the Geneva motor show next month. The SVAutobiography will be priced from $175,322 (before on-roads) which is about $10,000 dearer than its immediate rivals and $40,000 more than the current range-topping Velar. For the extra spend, buyers get giant 21-inch alloy wheels backed by sizeable brakes with red calipers. There are aerodynamic enhancements and slight visual alterations including a revised bumper and grille. In the cabin, there are quilted heated and cooled front seatsand a sports steering wheel with aluminium paddle-shifters. A variable exhaust enables the driver to choose the V8's soundtrack.